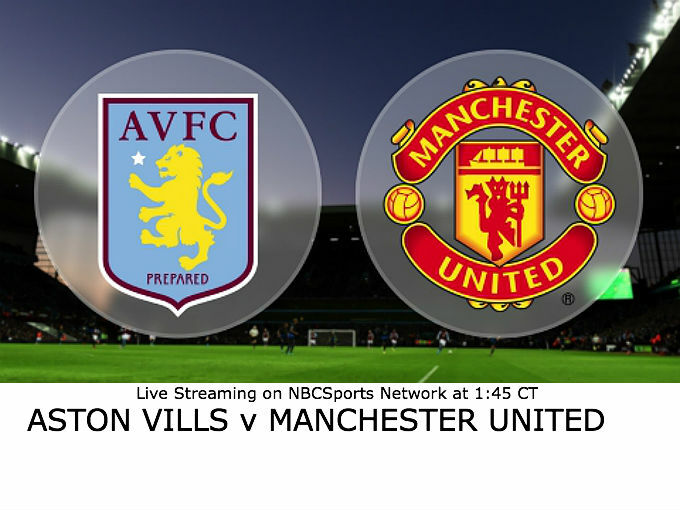 VILLA PARK, Sporting Alert – Manchester United are set to play the same starting team that defeated Tottenham on opening day against Aston Villa in Friday’s Premier League fixture. This means goalkeeper David de Gea will remain out of the squad – paving the way for Sergio Romero to make back-to-back starts in goal. De Gea is still being linked with a move to Real Madrid and United boss Louis van Gaal says the Spain international isn’t focused enough to play for the club and could stay on the sidelines until the transfer window closes on September 1. Meanwhile, Van Gaal is expected to continue using Memphis Depay in a central role behind Wayne Rooney, despite suggestions that the Dutchman could move his summer recruit out wide and perhaps play Juan Mata in the No. 10 role. Morgan Schneiderlin and Michael Carrick are expected to start in central midfield and the England ball distributor was delighted that the Red Devils were able to make a winning start to the campaign after losing to Swansea City last term in their season opener. “The first game is so so important,” Carrick said on www.manutd.com. “I think we found that last season as we didn’t really start well in the first game and straight away we were playing catch-up. Midfielder Marouane Fellaini remains out because of suspension, while defender Phil Jones also misses out with mild thrombosis. For Aston Villa, in the meantime, they are coming off a challenging 1-0 victory over the newly promoted Bournemouth and Manchester United defenders Chris Smalling and Daley Blind could have their hands full against Rudy Gestede, who is very strong in the air. In fact, according Opta Stats, the frontman has scored 20 league goals from header, which is more than any other player else in the top four leagues in England. So it wasn’t a surprised that he came off the bench to power home the winner against Bournemouth at the weekend. Manager Tim Sherwood could very well test United’s experimental backline by handing the new recruit a start. Aston Villa seems weaker without last year’s key players Fabian Delph, who moved to Manchester City and leading scorer Christian Benteke, who made the switch to Liverpool in the summer. Nevertheless, former Manchester City full-back and new captain Micah Richards, who replaced Delph as the team leader, believes the West Midlanders are still good enough to give a good showing and can’t wait to face Manchester United again. “They’ll always be special games to me, coming up against United. I can’t wait for this first one at Villa,” said Richards. “I wish the game was right now. It will be a tough game. “United will obviously be one of the favourites for the title and they have some world-class players. But we’ve recruited well. Gary Gardner and Jores Okore could both miss the game, while midfielder Jack Grealish is scheduled to have a late fitness test. Manchester United are yet to drop a game at Villa Park since 1995 and have won 12 of the last 19 contests. United have also scored 21 goals in their last seven Premier League games against Villa. England striker Wayne Rooney has also enjoyed playing against Aston Villa – scoring 13 Premier League goals against Friday’s opponents – the most he’s scored against any other team in the league.